Our breakfast is arranged on an international buffet with a wide selection of sweet and savory specialties. Croissants, tarts, yogurts, cereals, fruit jams, cheeses, deli meats, fruit... you can freely customize your dish starting your day as best as you can. Our Breakfast Hall is air conditioned and connected to the garden: throughout summer’s hottest days, have a seat at the poolside tables in the shade of our tensile structure. 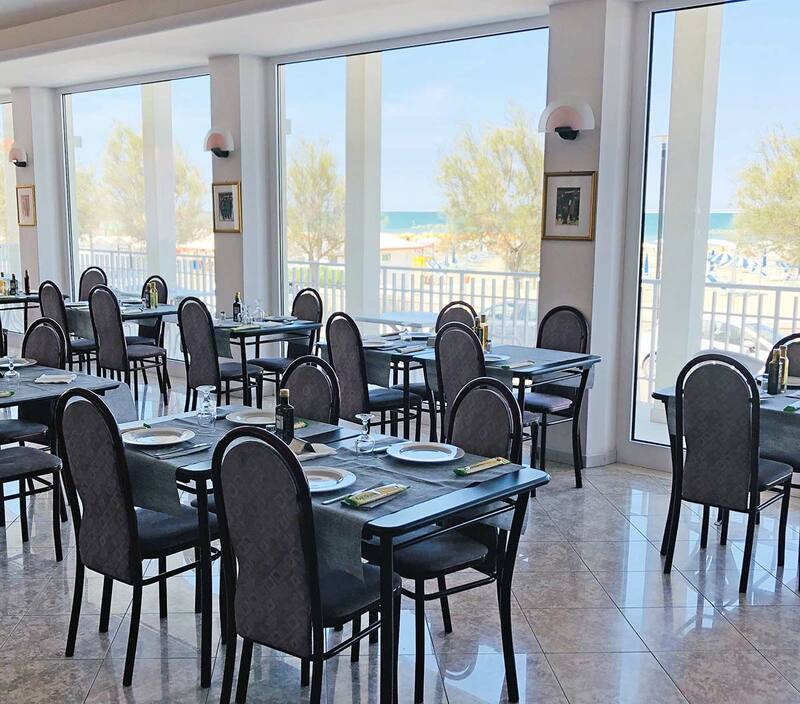 The Breakfast Hall of our Senigallia Hotel, equally air conditioned, boasts a breathtaking sea view. Lunch and dinner will always be served at your table with a chance to choose between 2 menus made of 3 courses. At lunch, there is always a fish dish enriched with a buffet of vegetables and self-service side dishes. 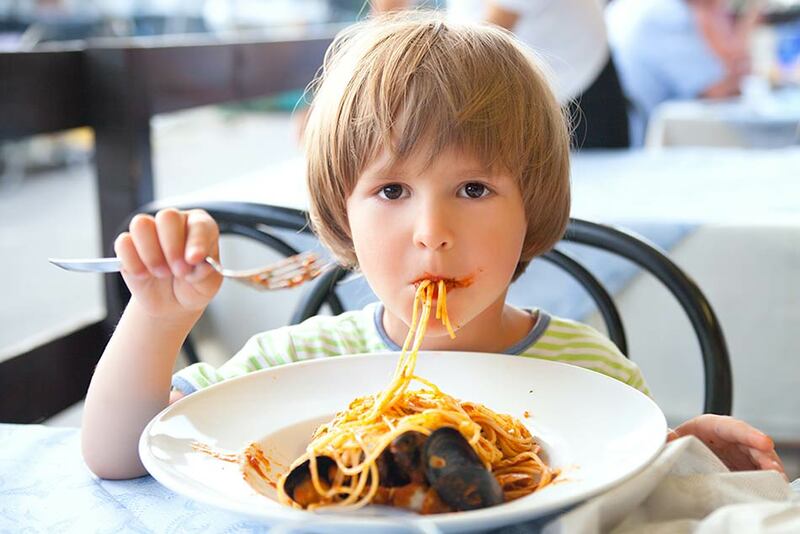 children’s, vegetarian and gluten-free menus. The restaurant will be open up to September 16, 2018 (included). After then, we will offer B&B accommodation only.